This archive holds all posts form June 2010. In the next few days, both Canada and the United States will be celebrating our National Holidays, on July 1 and July 4 respectively. And these holidays fall only a week after the G20 summit of world leaders held this past weekend in Toronto. So, it’s not surprising that Martin Waxman, Gini Dietrich and I found ourselves focusing in this week’s Inside PR on earth-moving news (yes, we had an earthquake in Canada too! ), including the G20 Summit and the view that social media, especially Twitter provided of this event. In a nutshell, the social media coverage was visceral, diverse and community-oriented. Traditional news media, on the other hand, while capturing pictures of the street level action, had a near monopoly on coverage of what went on inside the secure perimeter of the actual G20 Summit. Does this highlight a limitation of social media? People can’t cover what they can’t get access to? Thanks to @michael_kerr @hummingbird604 @SeanMoffitt @digitaljoy @dereklothian for suggesting the topics for this week’s podcast. 0:27 Martin opens the show. 2:17 Martin tells us how the G20 impacted his move to the new energi PR offices. 3:46 Joe paints a picture of what the G20 was like over the past weekend in Toronto and introduces this week’s first topic: the G20 and social media. 6:36 Joe points out the limitations of social media during the G20. 12:51 Joe wonders why the G20 organizers failed to incorporate elements of social media to inform the public during the talks. 14:53 Martin introduces the second topic: how social media is breaking “news” before traditional media. 18:18 Gini explains how it is difficult to determine what is and isn’t credible on Twitter. 21:18 Martin closes the show. I’m dictating this blog post directly into Dragon Dictation for the iPad. I’m not writing it. I’m saying it. And Dragon Dictation is transcribing it for me. When I’m done, I’ll simply send it to myself and paste it into WordPress. If you’vew ever had trouble priming your writing, this application is for you. Dragon dictation. A must-have app for the iPad. 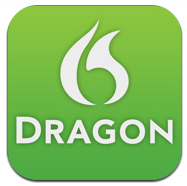 Want to see Dragon Dictation in Action? Watch this video of me recording this blog post. One final note. If you look closely on the text on the video, you’ll notice some differences. Yes, I edited this post, just like I edit every post. Dragon Dictation is great to get your ideas out. But you’ll still want do an edit both for flow and minor typos. Terry Fallis‘ story started out the same as that of almost any other unpublished writer with a first novel. Pitch it to every publisher he could find – and be rejected by every one. And it could have ended there – as it does for most first time writers. But Terry knew something about social media. And he decided that, if he couldn’t get his book to readers in the traditional way, he’d try to get it to readers in a totally different way. He’d read a chapter a week and distribute it as a podcast on his Terry Fallis blog and via iTunes. And that’s the way The Best Laid Plans found an audience. Via social media. Virally. One fan at a time found it, liked it and passed it on to friends. Some of the people who heard about the book and read it were on the selection committee for the Leacock Award. They liked it. In fact, they liked it so much that they nominated it for the award. And in a true Hollywood ending, Terry Fallis’ The Best Laid plans won the Award in 2008. And then traditional success followed. He picked up representation from one of Canada’s leading literary agents and a traditional publishing deal from one of the country’s most prestigious publishers, McClelland & Stewart. Well, Terry’s back with a sequel, The High Road. And he’s persuaded his publisher, McClelland & Stewart to test his approach again to see if lightning will strike twice. This is a first for a Canadian publisher. And I’m sure that others are watching closely to see whether podcasting the book in advance of publication will lift sales. This week’s Inside PR, features an interview with Terry about how he and McClelland & Stewart are using social media to promote his book. Following the interview, Martin Waxman, Gini Dietrich and I talk about Terry’s experience and whether it can be more broadly replicated. Here are the complete Inside PR show notes, prepared by our producer, Yasmine Kashefi. 0:23 Martin opens the show. 2:50 Joe mentions that Terry Fallis’ book podcast has made it to number one on the iTunes literature podcast charts. 4:03 Joe interviews Terry about how he used social media to promote his two books. 13:00 Martin, Joe and Gini comment on how innovative Terry was with his approach to social media to promote his book and himself. 19:00 Joe presents this week’s topic, recent developments in social media. He starts with the YouTube news feed and how citizen journalism has changed how news is defined. 24:21 Joe adds that the move toward government 2.0 has been gaining momentum and cites the Australian government’s Gov 2.0 as an example. 25:53 Martin introduces a new closing segment, the round up. 26:12 Gini kicks off the last -30- segment on Inside PR. 28:14 Martin wraps up the show. I missed the recording of this week’s episode of Inside PR. Both Martin Waxman and I were en route to Regina, Saskatchewan for the Canadian Public Relations Society‘s national conference. However, my plane developed mechanical problems (thankfully, while it was still on the ground) and I was still up in the air at recording time. So, Martin and Gini Dietrich went ahead without me. That’s one of the real benefits of three co-hosts. We can still have a discussion if one of us misses a recording date. This week on Inside PR, Martin and Gini discuss trends in social media. 0:30 Martin opens the show. 2:10 Martin mentions that Joe was unable to join them this week, and that they are presenting at the CPRS Conference in Regina, Saskatchewan. 3:10 Martin addresses listener comments from last week, the first from Ed Lee, congratulating Martin on the merger. 4:08 The second listener comment comes from Rob Jeanveau about the jeans issue that Gini brought up last week. 7:01 Martin introduces this week’s topic: 5 social media trends. He kicks off the discussion with the first trend, video. 10:00 Martin introduces the next trend: search. 13:42 Martin and Gini discuss the next trend: location based applications. 16:30 The next trend discussed is mobile payment applications. 18:58 Gini discusses the importance of the last trend, social media policies. 22:00 Martin wraps up the show. Thanks to our Producer, Yasmine Kashefi, for preparing these shownotes and the great work she does producing and publishing Inside PR. Social Mediators 8 – What do you want from a conference? It’s conference season. And we’ve all gone to conferences that we loved – and conferences that we hated. In this week’s episode of Social Mediators, Terry Fallis, Dave Fleet and I discuss what makes a good conference experience – and what can ruin a conference. I don’t just attend conferences because I love Las Vegas hotels (I don’t) or seaside resorts (I do.) I take time out of our schedules for much more practical and worthwhile reasons. I want to hear from leading edge thinkers and network with others who share common interests. I’m happy if one simple need is met: I want at least one good new idea from each speaker. If I get that, the conference is worthwhile. If not, I’ll exercise the law of two feet and head out to do some work. So, I’m easy to please. Give me great content and I’m a happy camper. Now to the other side. Things that detract from the conference experience. As a frequent conference attendee, there are some things that really bug me. 1) The conference within a conference. By invitation-only dinners and get aways for speakers and sponsors that are obvious to paying participants. We pay good money for a conference. We don’t want to feel like second class participants. 2) The conference with an unstated agenda. The worst of these are conferences that bring business together with government. You can get the feeling that you’re merely a prop in someone else’s GR campaign. 3) Panellists who think that they’ve given value merely by showing up. Conferences like SxSW which use a panel picker have seen a real slide in the quality of many panels, as a noticeable number of panelists seem to place their greatest effort into campaigning to be selected, not in preparing their presentations. 4) The biggest annoyance of all: Product pitches from sponsors who become speakers. When I speak, I rarely mention my company name. I’m there to educate, not to do a product pitch from the stage. And I don’t expect others to abuse their time on the stage. What makes a conference a good experience for you? What are the things that detract from the conference-going experience? 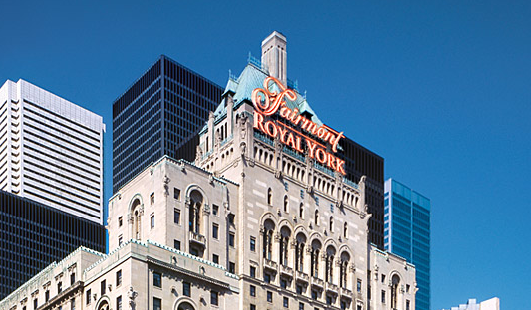 On Friday, I wrote about how Fairmont had given me a really special experience when they upgraded my room at the Fairmont Royal York from a standard room to the Governor General Suite. If you’ve ever wondered how the other 1% live (the 1% that definitely does not include me under normal circumstances,) I recorded a brief video tour of the Governor General Suite to share with you. Click on this video, lean back and experience what one of the G20 leaders will go “home” to after a hard day sorting out the global banking industry. This is a story about a company that understands the importance of going above and beyond what’s expected to show that it cares about good customers. I stay at Fairmont Hotels a lot. I’m sure they consider me a good customer. And this week they showed that they understand they can still surprise and delight a customer by giving him more than he expected. So, the people at Fairmont phoned me to let me know that they could not honour my reservation. They offered to place me at another hotel. I indicated that, given the expected transportation and business disruptions that will accompany the G20 Summit, I was going to cancel my trip to Toronto that week. Fairmont could have left it at that. But they didn’t. They offered to upgrade my room on my next stay at the Royal York. A nice gesture. So, I wasn’t really suprised when they told me at check-in this week that they’d upgraded my room. But I was surprised at what Fairmont upgraded me to – the Governor General’s Suite! 1,830 square feet of luxury. A fireplace. A separate parlour. A dining table. Wet bar. Views around three sides of the hotel. Fairmont definitely didn’t have to do something this spectacular. But they did. And that’s one of the reasons why I stay at Fairmont. If they can make a regular customer feel special, they do it. As a frequent customer of many other companies, I find that very few stand out like Fairmont by doing the special extra thing for customers. All too many seem to believe that they will deliver exactly what you paid for, nothing more, nothing less. While this does match my expectations, I think that those latter companies are missing a great opportunity to build loyalty. They should learn from Fairmont. With the occasional gesture like this, Fairmont ensures that I’ll not only be a faithful customer, but that I’ll also tell my circle about my experience. And in the long run, they’ll no doubt get much more business than it cost them to let a customer use an expensive suite at the price of a single room. That seems like simple good business sense to me. And Fairmont has it. Why don’t more businesses do this type of thing? Martin Waxman and Gini Dietrich again join me for today’s episode of Inside PR after my solo effort last week. This week, we have a chance to ask Martin about the just-announced merger of his firm, Palette PR, with Communications MECA to form a new company Energi PR. 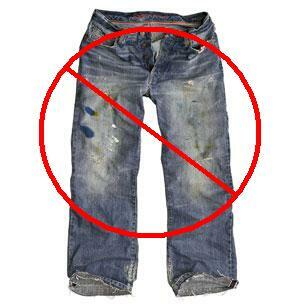 We also discuss the reaction to Gini’s recent blog post in which she suggested that conference speakers shouldn’t show up in jeans. Many people feel strongly about this and they express their views, not always in polite terms. Here are the complete shownotes. 0:42 Joe brings up the G20 Summit and Martin and Joe discuss how it’ll effect Toronto and Public Relations agencies in the Toronto financial district. 3:03 Joe explains that the G20 Summit will have a negative impact on the business community. 3:43 Joe asks Gini about her bicycle accident she had last week. 5:45 Martin tells us about Energi PR. 15:32 Martin tells us how Darryl Salnero helped with shaping Energi PR. 18:19 Joe asks Gini about a recent blog post that got a lot of feedback – both positive and negative. Thanks to Inside PR’s Producer, Yasmine Kashefi, for editing and producing the audio as well as the shownotes. Eqentia is a social media startup headquartered in Toronto Canada. In this week’s episode of Social Mediators, Eqentia’s CEO and Founder, William Mougayar, joins Dave Fleet and me for a discussion about Eqentia, what it does, who its aimed at and future plans for it. Eqentia’s text mining engine promises to deliver content to users in near realtime, providing them with an up to the minute picture of conversations and references to their brands and issues of interest. William sees Eqentia becoming a productivity tool for medium and large enterprises. Initially, power users can curate the content to ensure that the highest relevance and most valuable content is featured, saving time and effort for the rest of the team. Once the principal user has set up the tool and refined the settings so that it focuses on the company’s specific interests, other team members will have access to the data without the need to manage the sources, relevancies and advanced filters and settings that make all of this possible. Eqentia will be most attractive to teams that have both power users and executives who don’t care about how to use the tool, but just want to see its output. The power users can publish the information in user-friendly form for the end users – via email, Twitter, RSS feeds, or by giving end users access to individual topics. Unlike many other social media tools that focus on providing users with the ability to build folksonomies by applying multiple tags, Eqentia incorporates predefined taxonomies to standardize searches and make it easy for end users to find the same data set with a simple search. Still to come in Eqentia’s development – a comprehensive approach to social media metrics. The company has some potential client deals in the works and hopes to be able to begin to announce these in the near future. Eqentia has been seed funded by Extreme Venture Partners, who also funded Bump Top, which was recently acquired by Google. William says that he had the funding to carry on with the development of the product and to explore its marketing potential. Have you tried Eqentia? What are your thoughts about it? Are you interested in the business of PR? Then, you’ll want to listen to this week’s Inside PR podcast. Late last night, the news broke on Twitter that two Canadian PR agencies, Montreal-based Communications MECA and Toronto-based Palette PR, have sealed a deal to merge in a new firm, EnergiPR. I had the good luck to be at a breakfast meeting this morning with Esther Buchsbaum and Carol Levine, the principals of MECA. They agreed to step out of the room for an interview about the merger, their motivation in doing it and how they made it happen. By coincidence, the next edition of the Inside PR podcast was due to be published today. And both of my co-hosts, Gini Dietrich and Martin Waxman, were unable to participate in this week’s edition. So, I lucked out. At the last minute, I found the content for this week’s Inside PR – and I was able to offer the first interview with the principals in the new firm. OK. Now, how’s this for burying the lead? The other principal in the newly merged firm is none other than the very Martin Waxman who co-hosts Inside PR. Listen to today’s Inside PR podcast for the first news of the merger. And tune in again next week when Martin will be back behind the microphone and will add his perspective.